Almost to Waldron Island, we met up with my parents and Noah. The motoring mothership dwarfed the kayak we generally call the Big Banana. Dana elected to jump on board with them, so Tom & I powered the crossing without her. The mothership motored ahead for a bit, then paced us alongside (“you’re making almost 5 knots” dad yelled), and finally settled in behind us. With the weather a bit grey, we were happy to slide into Mail Bay and land right onto the beach. The mothership, of course, had to fiddle with their anchor and their dinghy to come ashore. Two very different species (the whale and the minnow? ), double the options for the kids, an awesome adventure to Waldron Island. 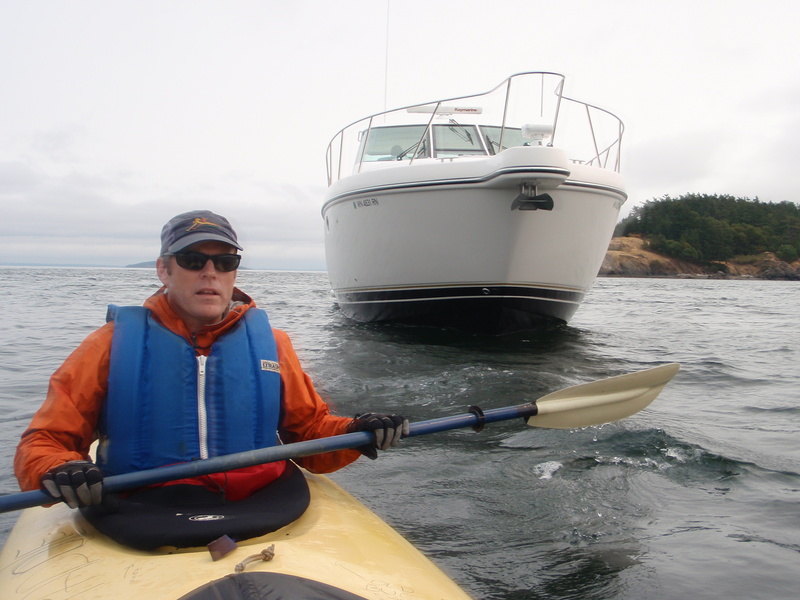 This past weekend, my step-son Dave and I kayaked from Friday Harbor ferry to Posey Island, then back the next day. We saw whales (in the dark moonlight), seals smacking and leaping from the water, and lots of different sea birds. If I were doing it over, I would have planned a couple more over nights between the paddles to allow my body to rest up. We also left our car in Anacortes and carried the boats onto the ferry. I think we will bring the car next time, as Friday Harbor is not set up for kayakers walking on. We had to haul our boats almost a quarter mile from the ferry to put them on the water. The kayak dock is several docks down from the ferry. Today, I’m worn out, my hands and face are swollen, and I have a couple nasty blisters from the paddle, but otherwise fine. 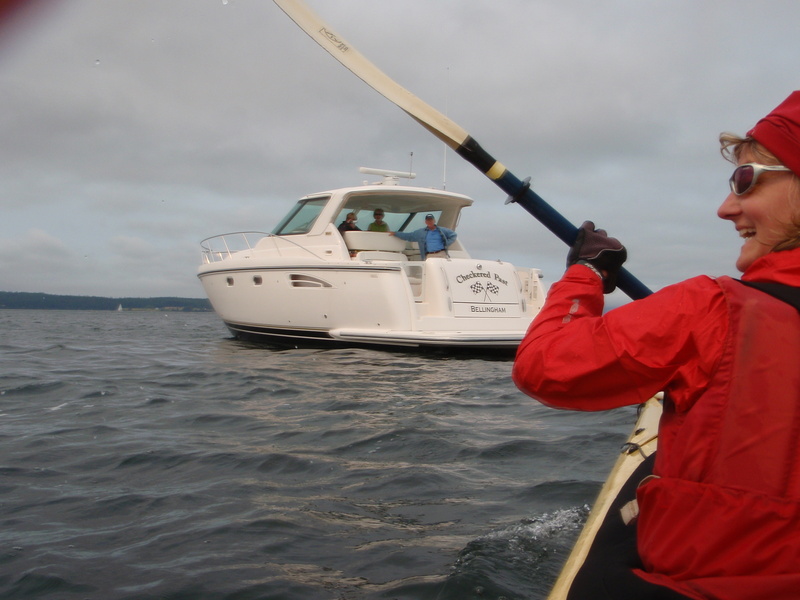 I’ll have to check out your route to see if we were on the water at the same time and near each other. I saw Waldron in the distance as we paddled on the way there on Saturday. Wow, 5 knots. You were really cruising! What a great blog. I’ve enjoyed reading about all your adventures. Thanks! 5 knotts is warp speed, for true heroes… Nice kayak that “big banana. Love the blog guys.